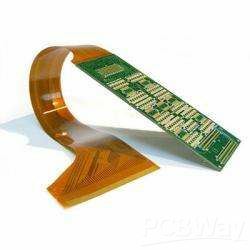 Rigid-Flex printed circuit boards are boards using a combination of flexible and rigid board technologies in an application. Most rigid flex boards consist of multiple layers of flexible circuit substrates attached to one or more rigid boards externally and/or internally, depending upon the design of the application. The flexible substrates are designed to be in a constant state of flex and are usually formed into the flexed curve during manufacturing or installation. Rigid-Flex designs are more challenging than the design of a typical rigid board environment, as these boards are designed in a 3D space, which also offers greater spatial efficiency. By being able to design in three dimensions rigid flex designers can twist, fold and roll the flexible board substrates to achieve their desired shape for the final application's package. Rigid-Flex PCBs offer a wide array of applications, ranging from military weaponry and aerospace systems to cell phones and digital cameras. Increasingly, rigid flex board fabrication has been used in medical devices such as pacemakers for their space and weight reduction capabilities. The same advantages for rigid flex PCB usage can be applied to military weaponry and weapon control systems. In consumer products, Rigid-Flex doesn't just maximize space and weight but greatly improves reliability, eliminating many needs for solder joints and delicate, fragile wiring that are prone to connection issues. These are just some examples, but Rigid-Flex PCBs can be used to benefit nearly all advanced electrical applications including testing equipment, tools and automobiles. 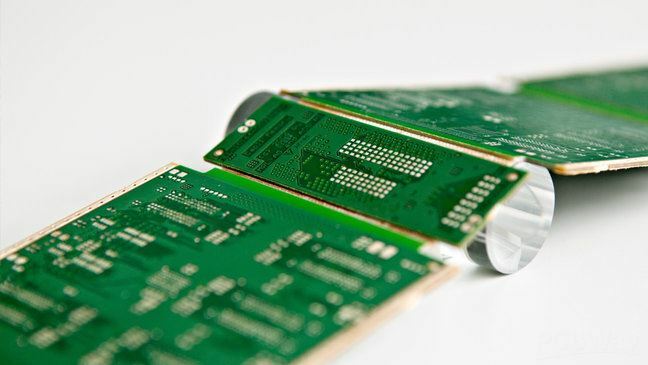 Whether producing a rigid flex prototype or production quantities requiring large scale Rigid-Flex PCBs fabrication and PCB assembly, the technology is well proven and reliable. The flex PCB portion is particularly good in overcoming space and weight issues with spatial degrees of freedom. Careful consideration of Rigid-Flex solutions and a proper assessment of the available options at the early stages in the rigid flex PCB design phase will return significant benefits. It is critical the Rigid-Flex PCBs fabricator is involved early in the design process to ensure the design and fab portions are both in coordination and to account for final product variations. The Rigid-Flex manufacturing phase is also more complex and time consuming than rigid board fabrication. All the flexible components of the Rigid-Flex assembly have completely different handling, etching and soldering processes than rigid FR4 boards. · By removing the need for connectors and cables between the individual rigid parts the board size and overall system weight can be reduced. · By maximizing space, there is often a lower count in parts. · Less solder joints assure higher connection reliability. · Handling during assembly is easier in comparison with flexible boards. · Simplified PCB assembly processes. · Integrated ZIF contacts provide simple modular interfaces to the system environment. · Test conditions are simplified. A complete test prior to installation becomes possible. · Logistical and assembly costs are significantly reduced with Rigid-Flex boards. · It is possible to increase the complexity of mechanical designs, which also improves the degree of freedom for optimized housing solutions. During the Rigid-Flex PCBs design process, certain considerations must be taken into account for final product size variations. In the manufacture of Rigid-Flex boards, the flexible polyimide core will shrink once the bonded copper foil is etched away. This variation must be accounted for in the design process. The final Rigid-Flex assembly process requires the flex portions to be bent into shape, stressing the flex laminations with the potential to cause stress fractures.